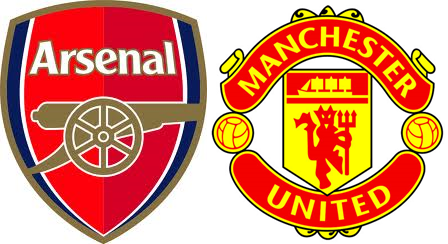 Premier League Preview for Arsenal v Manchester United along with Predictions for the matches on week 35 of the EPL. Follow up each match with results and video highlights posted later in the week. You can also check out the weekly EPL TV Schedule. This is going to be a difficult match to pick. Arsenal will be playing without their main striker, Olivier Giroud, after last weekend’s red card. There will be a question about what kind of team Sir Alex will put out on Sunday with Manchester United having already won the Premier League title. The battle between Arsenal and Manchester United may not be as big as it once was, but it is still one that both managers would like to go out and win. United will certainly want to get a win so that they can push towards the EPL points total record currently held by Chelsea. In order to do that they will need to win all four of their last matches. Arsenal are still in the battle for a Champions League match. They are currently in third on 63 points, just one ahead of Chelsea and two ahead of Tottenham, both of which have a game in hand. They need wins to secure their spot in the top four. For Monday my prediction is a draw. It’s not really what either team wants and far from what Arsenal needs, but it is the most likely outcome considering where these two teams are at this point of the season.